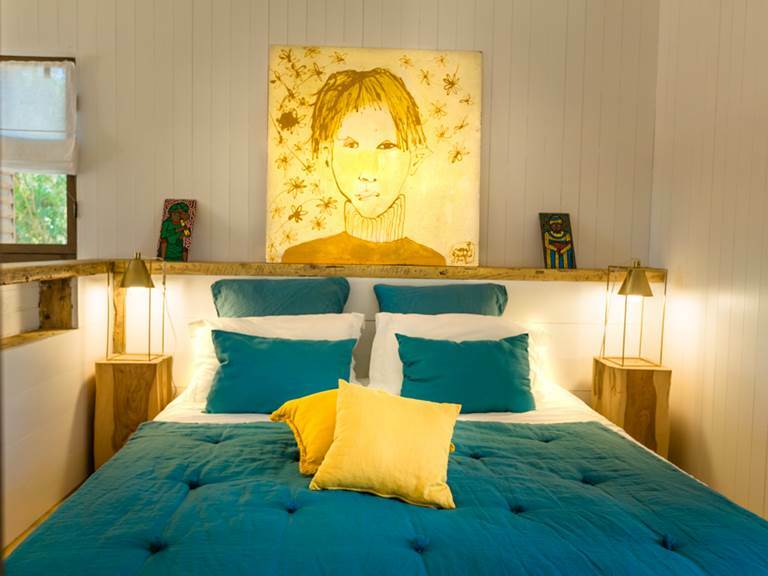 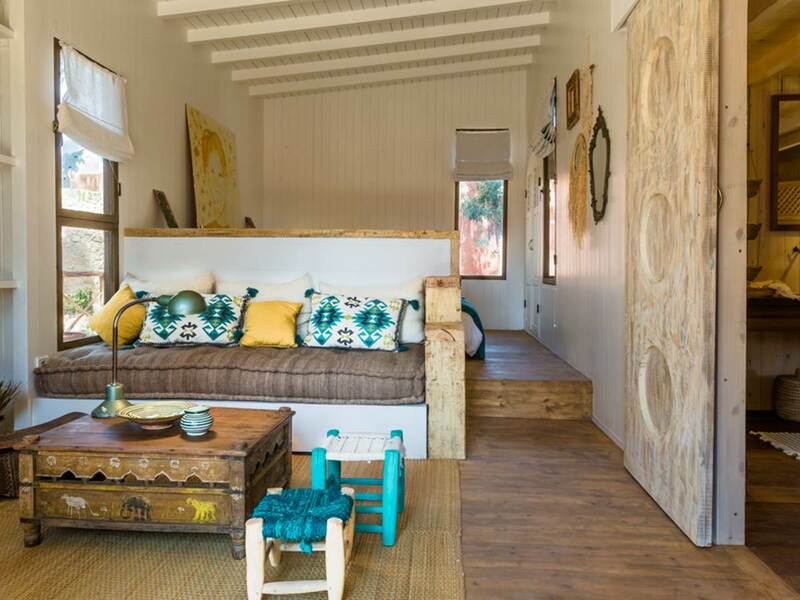 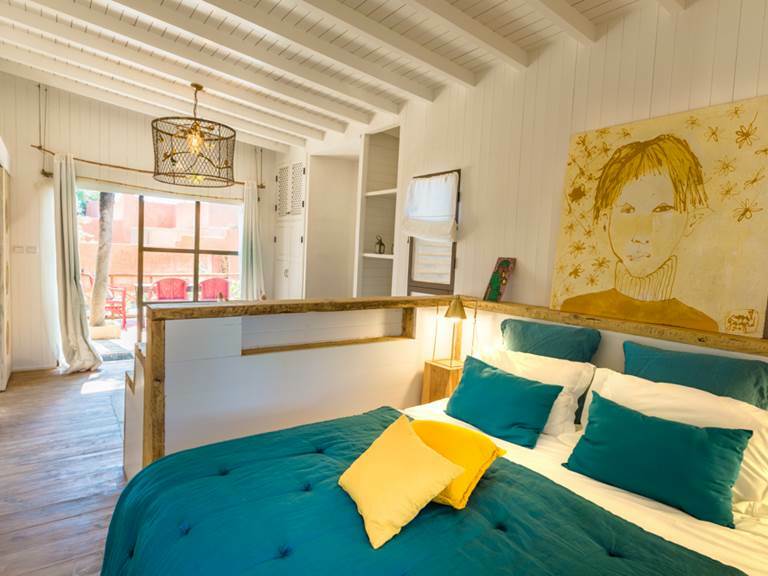 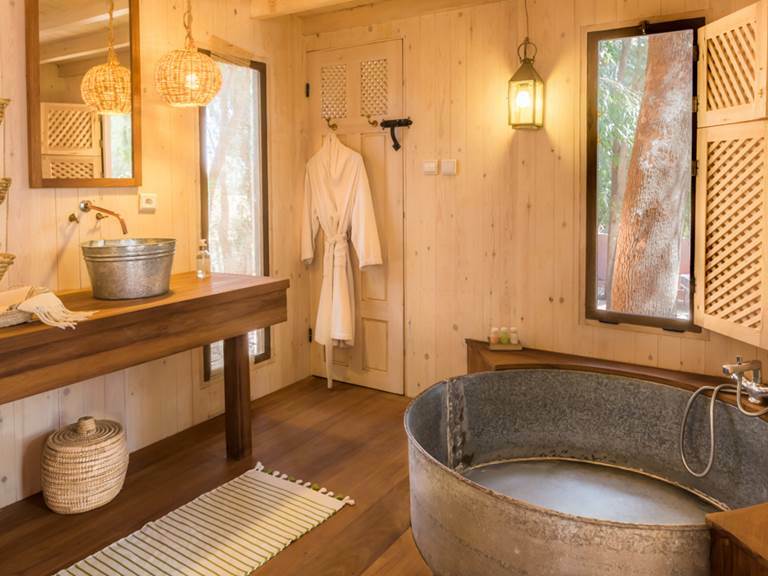 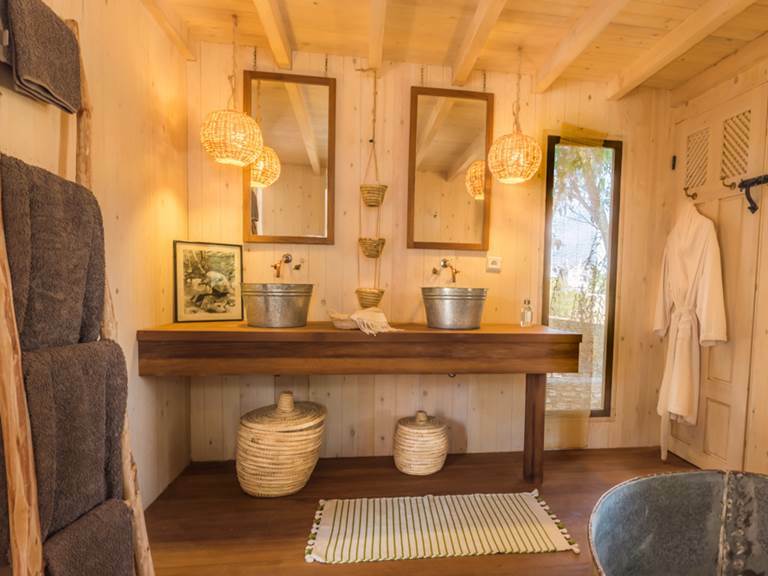 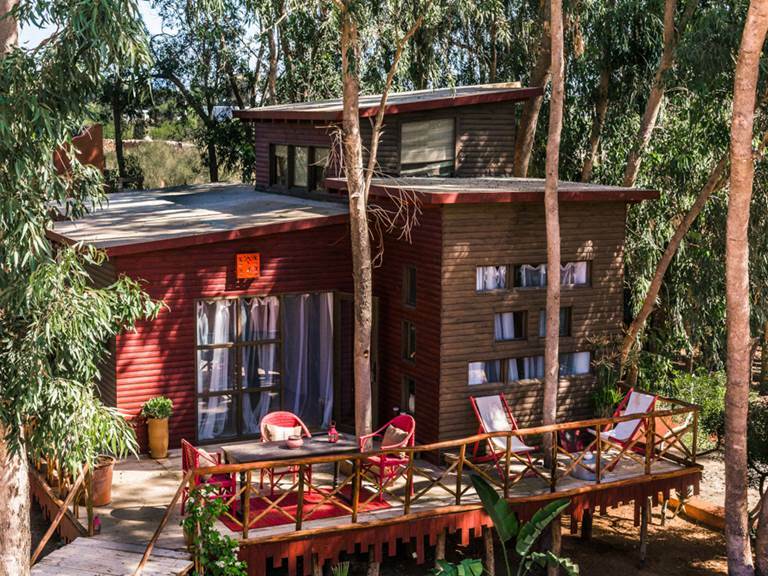 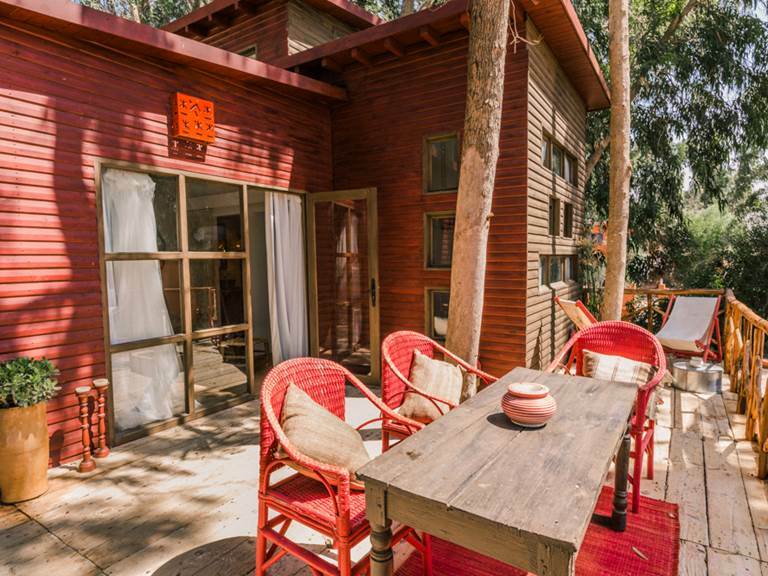 Entirely designed in wood and placed on stilts, nestled under the highest eucalyptus, this bohemian and poetic cabin is a charming suite, perfect for families, as for couples seeking privacy and space. 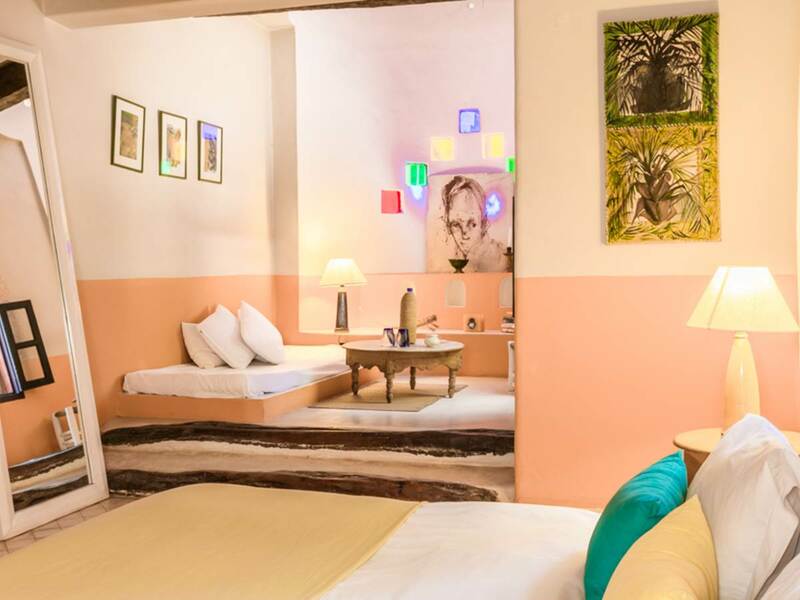 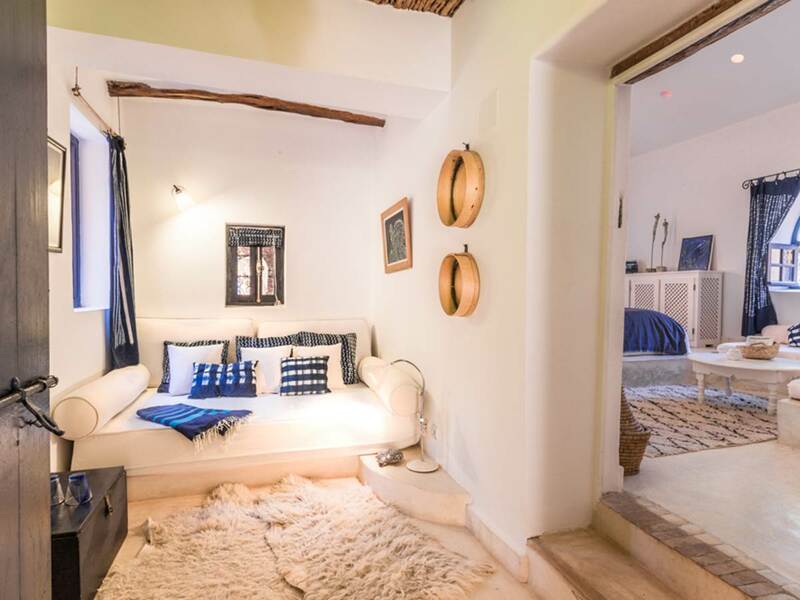 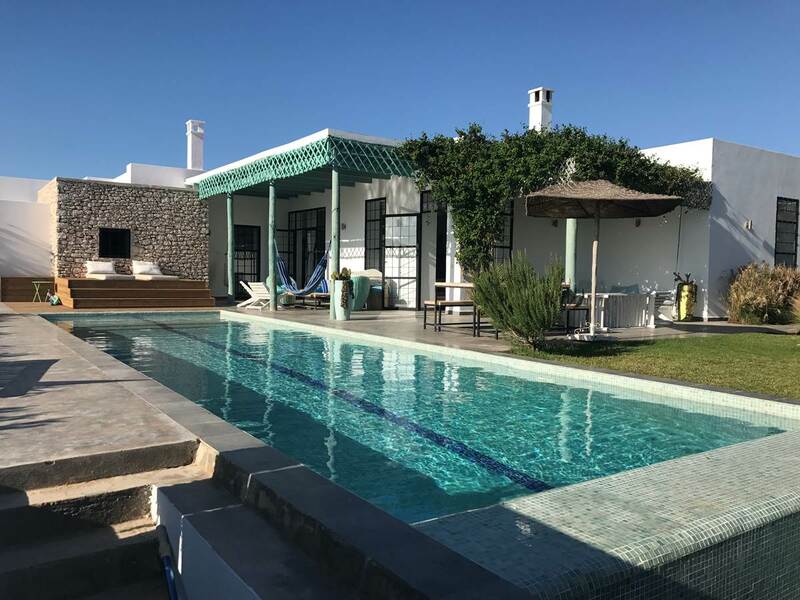 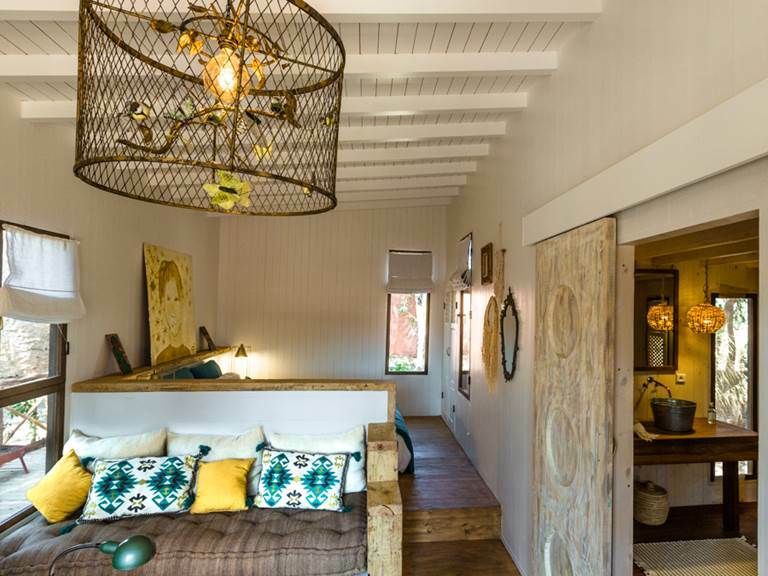 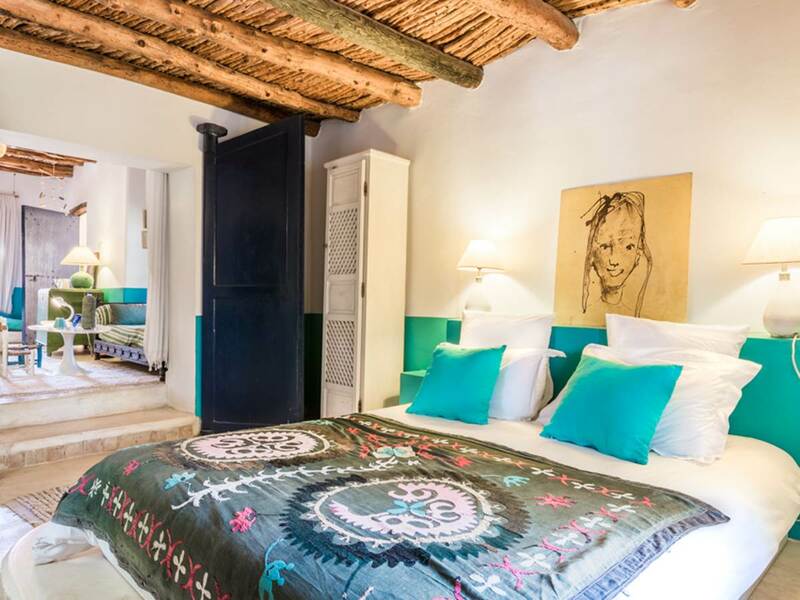 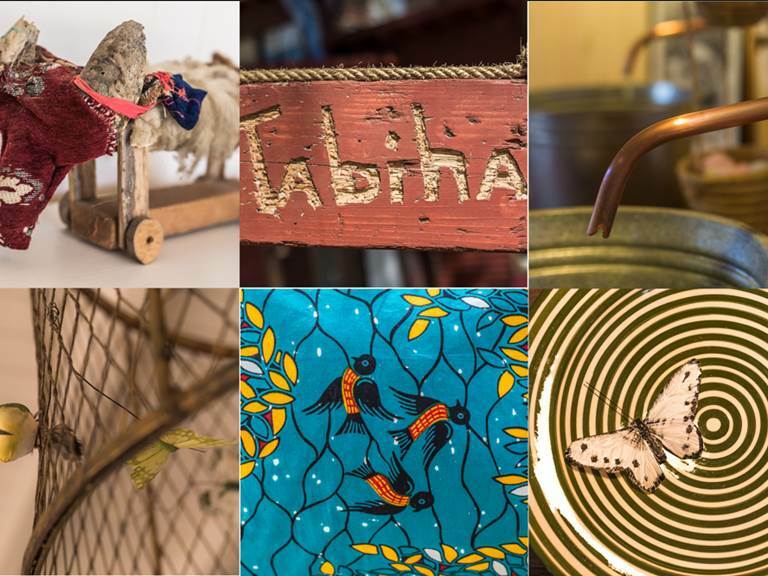 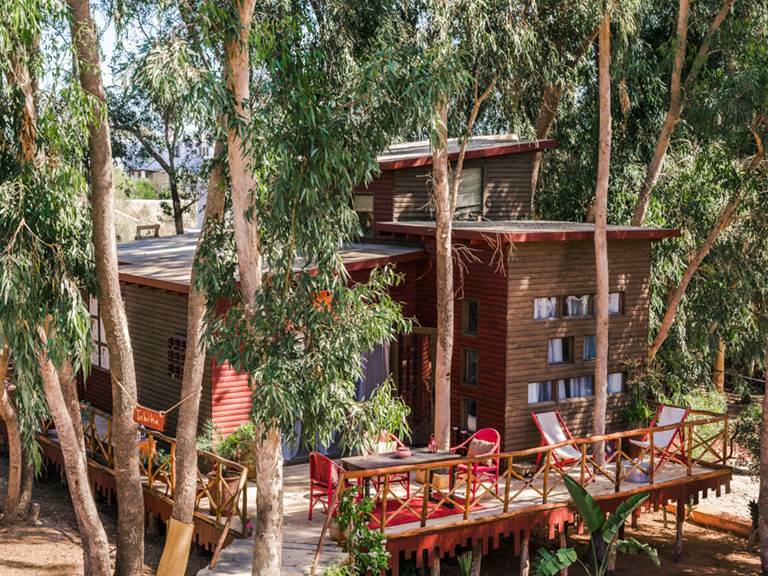 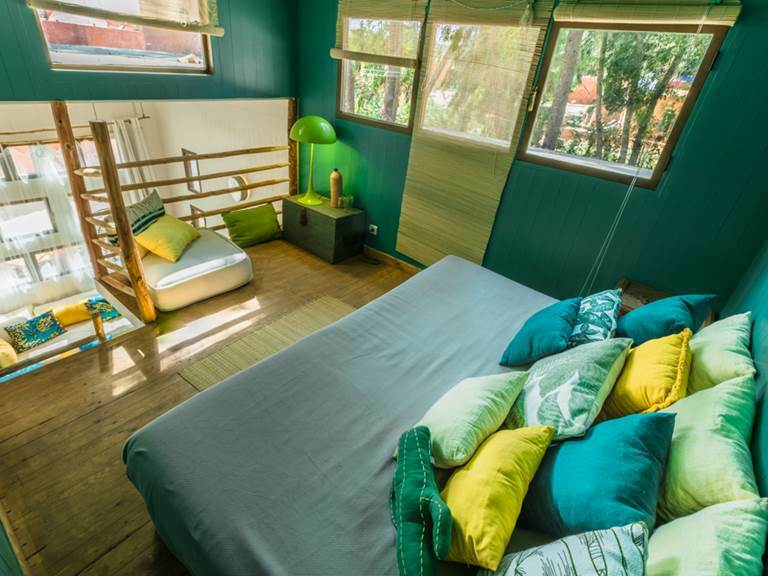 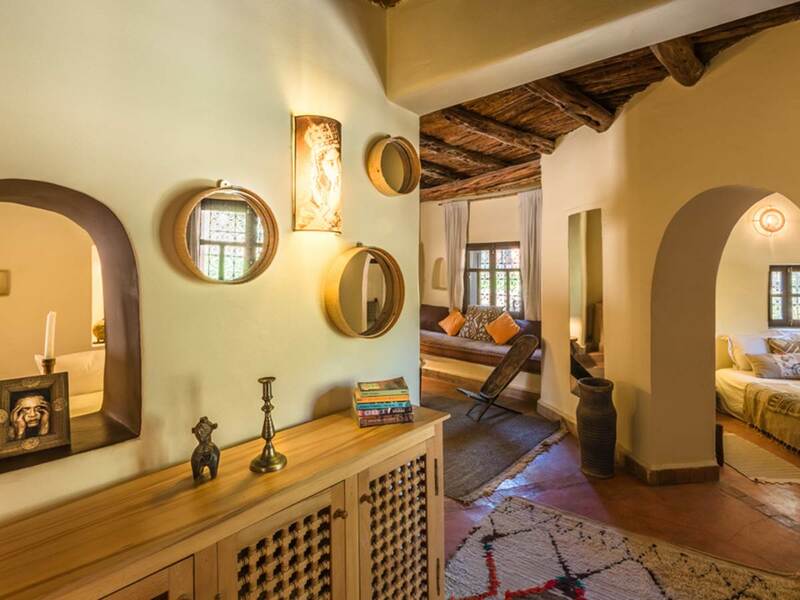 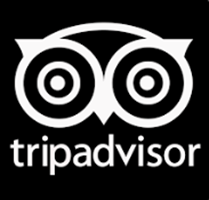 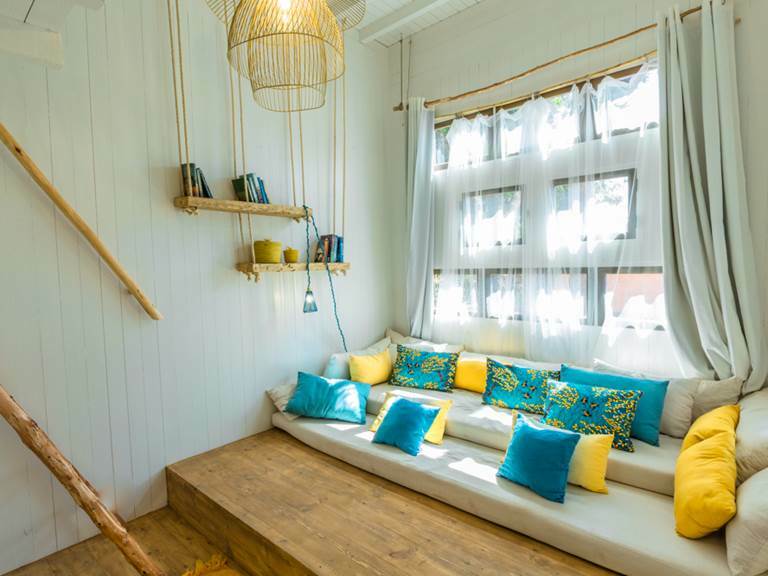 It consists of a large room with its wood stove for winter evenings, a lounge area, such a lovely place to chill out, flexible according to your needs, and a mezzanine, nicknamed "the green bubble" from which one can observe the treetops and the garden of Baoussala. 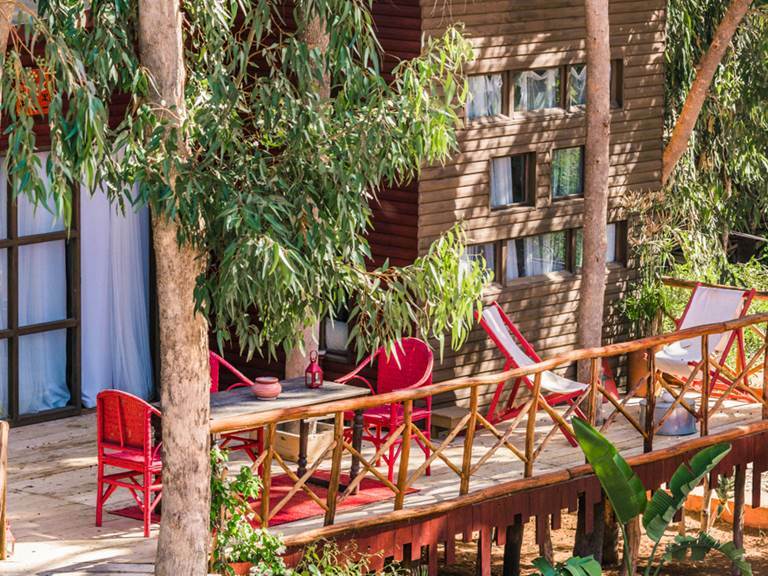 The Taabiha Cabin has a large private terrace, where you can take your meals, sip a tea and breathe the sweet fragrance of the aromatic plants of the terrace.